On January 2, 2016, the Penn State Nittany Lions football team will face the Georgia Bulldogs in the TaxSlayer Bowl. In one sense, this will be just a football game. But, for many Penn State fans it is a bright ray of sunshine after four years of darkness. In the fall of 2011, a harsh spotlight shone down on Happy Valley. The details of the Jerry Sandusky scandal were well documented over the following weeks and months. Sandusky was tried and convicted of his heinous crimes and will die in prison. Joe Paterno was fired via a phone call and died just a few months later. Then in the summer of 2012, the NCAA levied unprecedented sanctions against Penn State. The Nittany Lions were banned from bowls for the next four years. Crippling scholarship restrictions were handed down. Most astonishingly of all, Penn State's players and recruits were given permission to transfer and immediately play for other schools. All Nittany Lions' fans feared that Penn State football, like SMU in the 1980's, would never recover from the NCAA's punishments. After all, that fate was declared as absolute truth by the mainstream sports media. 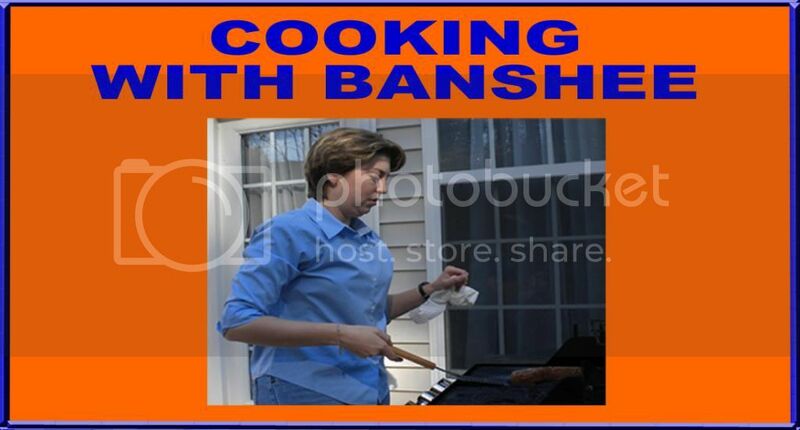 For some fans, the dismay might have been limited to anger over the NCAA denying them some fun in the fall. That is certainly how the mob on Twitter treated anyone who dared to speak a kind word about the university in the during the winter and summer of 2012. 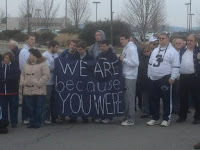 But for many Penn State fans, the developments of 2011-2012 threatened their very self-image. Although it might have seemed naive and silly to the talking heads on TV and fans of most other schools, Joe Paterno's motto of "success with honor" was something they truly believed in. It was something they truly loved. It was something that had been widely recognized since the 1987 Fiesta Bowl victory over Miami. Even if the football program one day recovered on the field, there was a generalized despair that Saturdays in the fall would never mean the same thing again. Sure there would be wins and losses, but would there ever be something bigger to believe in? Would there ever again be something like "success with honor" that would give the program a cause and a unity of purpose? 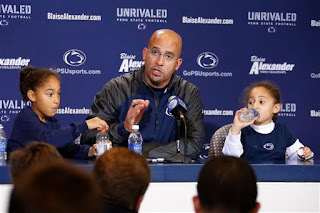 At various points in the process, four men stepped into the whirlpool of moral ambiguity and restored a higher purpose of Penn State football. They also preserved Penn State's role as a major college football program on the gridiron. These men are: Bill O'Brien. Christian Hackenberg. Michael Mauti. And James Franklin. This is not an exhaustive list, but each of these men each stepped up when they were needed most and played a special role in the lives of the program and its fans. Bill O'Brien took over the head coach position at Penn State in the winter of 2012. Although the NCAA had not yet handed down its sanctions, O'Brien was well aware of the tempest he was stepping into. O'Brien not only kept the Nittany Lions respectable on the field, he also embodied the character and toughness that Penn State fans yearned for in Joe Paterno's replacement. Although O'Brien left for the NFL after two seasons, he kept the Nittany Lions afloat when most expected them to drown. For this, the faithful in Happy Valley should be forever grateful. In 2011, Christian Hackenberg was one of the nation's top recruits at any position. When the 5-star quarterback from Virginia committed to play in Happy Valley, Penn State was one of the most stable programs in the nation. All that had changed by the time Hackenberg reported for camp in the summer of 2012. Although he was but a boy at the time, Hackenberg was a man of his word. When he kept his commitment to the program, most of his recruiting class followed suit. Although his play has been the subject of great scrutiny as he contemplates leaving for the NFL, Christian Hackenberg's contribution to the program when he honored his pledge to come to Penn State should never be underestimated. When the NCAA opened up the floodgates for departing players as part of its sanctions, it was Michael Mauti who rallied the troops and gave the remaining Nittany Lions someone to rally around. Mike Mauti's words at Joe Paterno's memorial service and his statement to the public in the wake of the sanctions reassured fans and reminded critics that there were still men of integrity and honor playing football in Happy Valley. 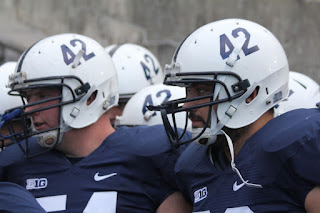 If there was ever a symbol of what Mauti meant to the team, it came on senior day when the players voted to alter the iconic Penn State helmets to honor their injured leader. Mauti's contributions on the field during his senior season were a big part of the Nittany Lions winning season, but it was his spiritual leadership and moral compass that kept the Nittany Lion family together. The last of these four men to enter the Penn State picture was James Franklin. 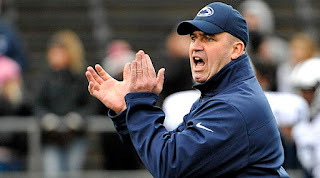 After Bill O'Brien left for the NFL, Penn State was once again left in search of a head coach for the second time in just a few short years. This was a shocking development for a program who had been led by a single man for over four decades. When James Franklin was hired away from Vanderbilt, he declared that Penn State was his destination job. He stated that he was a "Pennsylvania boy with a Penn State heart." But more than that, Franklin talked about Penn State being a special place. He talked about family in ways that were more than lip service. And he enthusiastically hit the recruiting trail with those principles. His message and his commitment to Penn State's ideals resulted in some of the top recruiting classes in the nation. 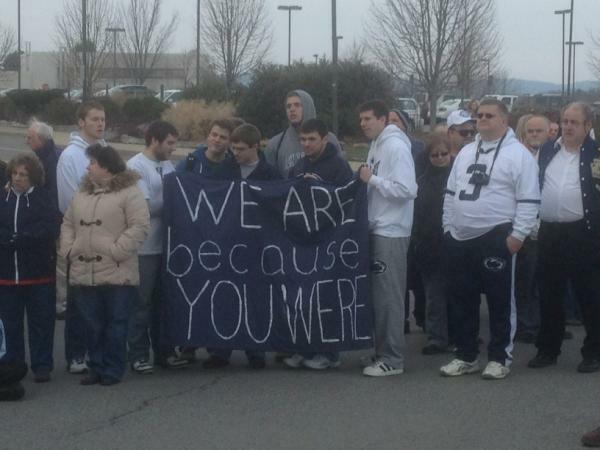 Perhaps the greatest testament to Franklin's success is that Penn State fans were once again focused on the on-field results this season and were no longer satisfied with moral victories. When the Nittany Lions take the field on January 2, 2016 for a big time bowl game against a prestigious opponent, it will be about more than just a football game. It will signal a return to normalcy for a once proud football program. More importantly, it will signal the end of a four year period of contrition for a once proud fanbase. As Nittany Lion fans settle in with chips and dip on Saturday to engage in what was once a yearly ritual, let none of them forget the contributions and sacrifices of Bill O'Brien, Christian Hackenberg, Michael Mauti and James Franklin.